You can create a notification. You can set notification attributes, such as the notification title, content, timestamp, and various property options. You can set accessory options for a notification to control how the device sound, vibration, and LED feedback respond to the notification. You can set styles for a notification, changing its display type and adding features, such as icons and background images. 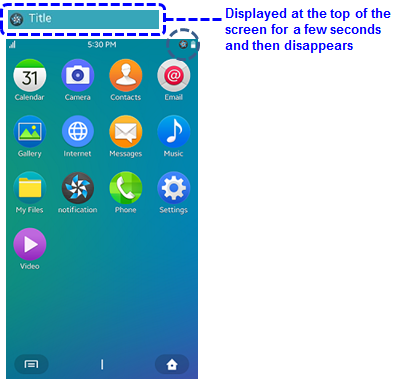 You can post a notification using the Post() method of the Tizen.Applications.Notifications.NotificationManager class. 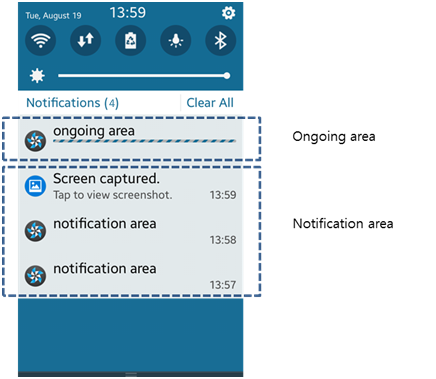 You can update the content of an ongoing notification using the Update() method of the Tizen.Applications.Notifications.NotificationManager class. You can display and update the progress bar for an ongoing notification. An active notification is displayed on the upper side of the screen. You can add buttons for user interaction, and a text input field which the user can use to reply to the notification directly. You can set accessory options for a notification to control how the device sound, vibration, and LED react to the notification being activated. Any options you do not set use the default values instead. 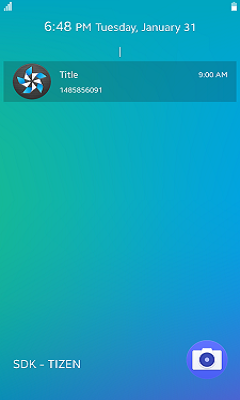 Set the properties of the Tizen.Applications.Notifications.Notification.AccessorySet instance. The available SoundOption and LedOption property values are defined in the Tizen.Applications.Notifications.AccessoryOption enumeration. You can set a style for your notification to change how the notification is displayed, including changing the display type or icon. A single notification can only have 1 style set for it. Optionally, you can add buttons or a reply field to an active notification. 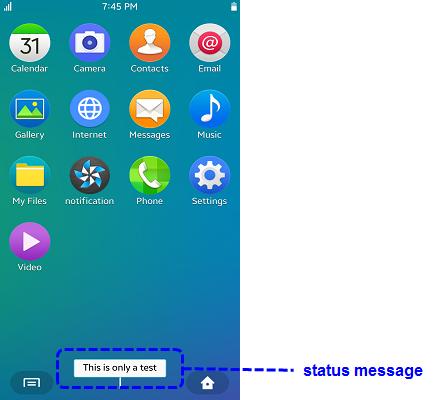 To add a button, create a new instance of the Tizen.Applications.Notifications.Notification.ButtonAction class. You can add up to 3 buttons into a single active notification. 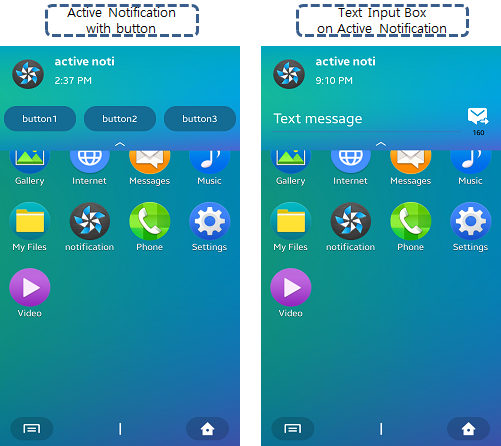 To update the content of a notification, use the Update() method of the Tizen.Applications.Notifications.NotificationManager class. The method works for ongoing notifications only. To create a notification with a progress bar, create a new instance of the Tizen.Applications.Notifications.Notification.ProgressType class. To be able to retrieve the notification handle and update the progress data later, set a notification tag with the Tag property of the Tizen.Applications.Notifications.Notification class.